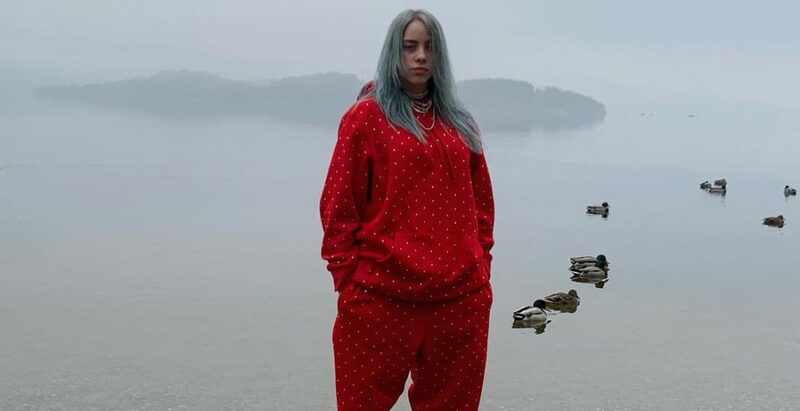 Billie Eilish is a 17-year-old choir-singer turned breakout star, whose first single “ocean eyes” was released in 2016 and debut EP “Don’t Smile at Me” came out around a year after. Last week, she released her debut album “When We All Fall Asleep, Where Do We Go?” which is a 14 track dive into Billie Eilish’s unique world of spooky teenage pop. Over the last year, Eilish has gained somewhat of a cult following. The Los Angeles native grew up homeschooled, and she was introduced to the world of music by her brother Finneas O’Connell, who still produces most of her music and performs with her at her live shows. Eilish’s sound is like no one else’s. Her voice is breathy and quiet, and her tone is somehow both haunting and intimate. Billie Eilish’s music style transcends genre, delving into pop, hip-hop, indie and even EDM. The opening track sets a baseline for the personality of the album. The 14-second track “!!!!!! !” starts with the sound of Billie removing her Invisalign retainer and joking around with her brother. She says, “I have taken out my Invisalign and this is the album,” and the two of them burst into laughter. The audience is set up to hear the songs, and they know to take the horror of the album with a good sense of humor. The standout of “When We All Fall Asleep, Where Do We Go?” is “bury a friend,” which was the first single from the album. It opens in a gentle, paced melody reinforced with a distinct and rhythmic beat. However, the song quickly descends into a chaotic nightmare-scape, complete with screams, screeching tones and occasional growling. The song has morbid lyrics, and in a recurring verse, Eilish sings, “step on the glass, staple your tongue / bury a friend, try to wake up.” This violent imagery is a common theme in her songs, and Billie has often said she enjoys playing characters in her music. Of course, she can also fall prey to over-stylizing and over-producing her music, which was her biggest weakness in her first EP, and her lyrics are still occasionally contrived. In “wish you were gay,” Eilish attempts a play on a countdown, singing, “four days has never felt so long / if three’s a crowd and two was us / one slipped away.” The set-up feels forced, and as the motif continues through the song, it begins to feel heavy handed. In this aspect, it does feel like Billie has come back older but not too much wiser. Other songs provide a change of pace from her more typical songs, like “8” where Billie Eilish’s voice is pitched up to make her sound even younger than she already is, and instead of a bass-heavy track, she is singing along to bright ukulele music. “I love you” attempts to recreate the soaring melody of her hit song “lovely (with Khalid),” but the song falls flat as its tune is almost the same as that of “Hallelujah” by Leonard Cohen. The production of “xanny” is artful and ironic with a very unexpected message. As Billie is singing about how unnecessary it is to take drugs and drink alcohol to “feel good,” her voice fades in and out, creating the effect of a pill-like haze. While her album builds on her unique style and personality, it is clear that Billie Eilish has some maturing to do. Still, her album offers a fresh perspective on pop that is desperately needed right now. The album delves into emotions relevant to young people today in a unique, insightful and fun way. Overall, Eilish’s debut, “When We All Fall Asleep, Where Do We Go?,” is a well-produced and morbidly fun album to listen to.